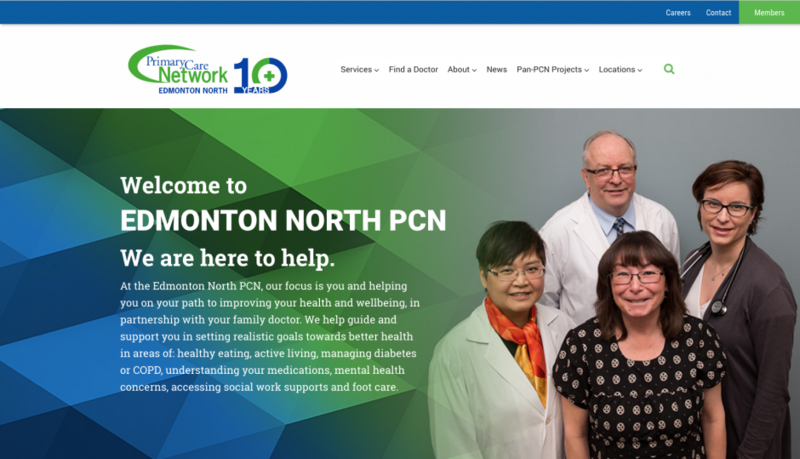 The PCN supports the public with realistic goal-setting, including healthy eating, active living, managing diabetes or COPD, understanding your medications, mental health concerns, accessing social work supports and foot care. 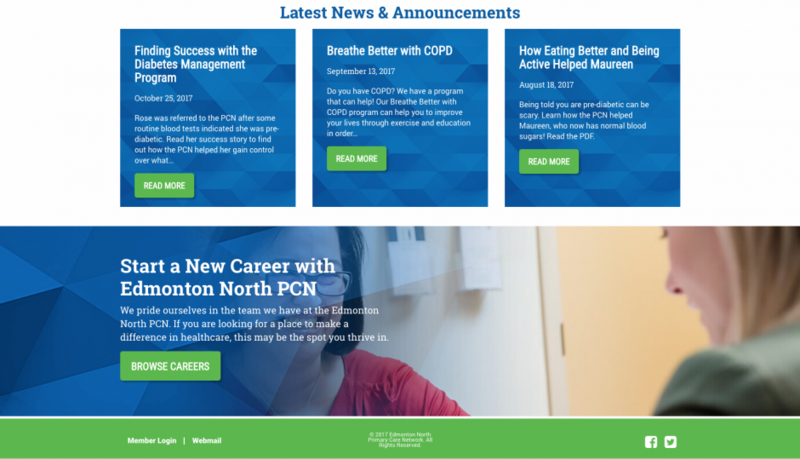 Project Summary: Pixel Designs developed a new site for the Edmonton North Primary Care Network. This WordPress site is designed with ease of navigation in mind, making it simpler than ever to find a doctor, access a service or discover a location. The site features a highly usable megamenu, a blog and a robust members-only area. We wish we could show it off to you — but you’ll have to visit their careers page first!